ABBA has sold over 380 million albums and singles. Wow! The group began with two married couples: Agnetha Fältskog and Björn Ulvaeus, Benny Andersson and Anni-Frid Lyngstad. Faltskog and Ulvaeus divorced in 1979, and Andersson and Lyngstad divorced in 1981. The original name of this band was "Fest Folk" ("party people" in Swedish). 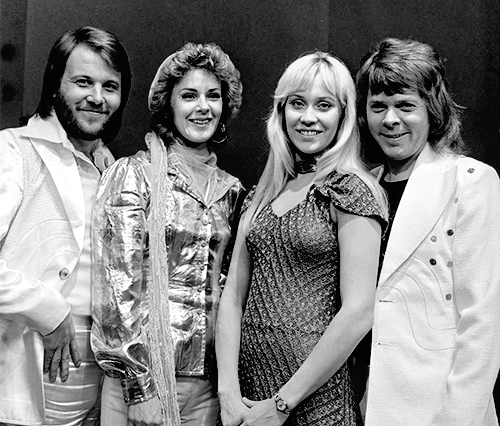 The name ABBA comes from the group members' first names: Agnetha, Bjorn, Benny, Anni. They wore sparkly, outlandish outfits because they could write them off their taxes in Sweden. Tax law there dictated that stage outfits could not be street clothes. The group disbanded in 1982, but had a resurgence in popularity after the musical play Mamma Mia! was released. The movie musical Mamma Mia! was the top grossing movie in the U.K. in 2008. It was #14 in the U.S.
Do you like ABBA? What is your favorite of their songs? I'd love to hear from you in the comments, below. Ha, such fun facts that I never knew about ABBA! I really love Mamma Mia! I think it's just a fun, feel good show/movie. Thanks for sharing! Oh ABBA! Yes, I love them, all thanks to the influence of my mum, from memory they are her absolute favourite 70s group. Ha! I did not know that about their stage costumes, I just thought they wore them to be awesome and stand out from everyone. Have you ever seen the Australian film Muriel's Wedding? You might like it, it's an early 90s film with a strong ABBA musical presence. As for my favourite ABBA song, I'm not too sure I can pick just one: Waterloo, Bang-A-Boomerang, Chiquitita, Fernando, Thank You For The Music, I Do, I Do, I Do, I Do, I Do, and of course Dancing Queen. I think I'm going to have to listen to ABBA now this Wednesday morning while I'm working! Lori, I like Mamma Mia too ... it is a real feel good show/movie. Hollie, great list of ABBA songs. I also love Waterloo!